I am back at the office after an amazing concert season this year and heading deep into the summertime. This July, once the clouds are gone and the dry heat is on, we will spend most of the time with the family, working on next concert season, enjoying several outdoor concerts, thanking all the people who worked together with us on each success we had and preparing the next third edition of Pueblos Blancos Music Festival that will take place this Sept 6-9th. It was on March, when we went on the road and since then and for four months, wehad touring over 1000 musicians throughout Spain and Portugal. We organized 85 concerts in total and some days we had three different ensembles playing on three different corners of the Iberian peninsula. Over 30,000 people attended to all our concerts and welcomed each ensemble with outstanding ovations, no matter if they were choirs, bands or symphony orchestras. No matter if they were HS music students, college or adult community choirs or wind bands. It is impossible to thank to all the many collaborators we had, from our international partners to the local ones ( townhalls, cultural authorities, festivals, music halls, cathedrals, charity organizations, private institutions and foundations, schools and conservatories, professional musicians and ensembles, old friends and our staff, particularly to my wife Kitty who worked in the shadow and behind each scenario. It will be also very hard to say which of the ensembles were my favourite ones as I met most of them and attendend to most of the concerts but I only spent full time touring with few. Probably this made me having strong memories of all of them and of their music. Want to give very special thanks to Ebbe Munk and the Copenhagen Royal Chapel that came at the end of April and sang beautifuly in Lisbon at the Monastery of Jeronimos, in Salamanca at the Old Cathedral, in Seville at Church of El Salvador and the final one in Malaga´s cathedral. It was the third visit of the Copenhagen Royal Chapel choir to the Iberian peninsula with us, but this tour was probably the best of all. Under the title ” Choir Sounds of Joy and Reflexion” they presented choral masterpieces from Italy, Germany, Scandinavia and Russia, from reinassance until today. Listening O Magnum Mysterium by Morte Lauridsen, the Benedictus by Carl Nielsen or the Bogoroditse Devo by Rachmaninov brought myself and all audiences to another dimension, while Helen Davis played beautifully several harp solos. The Phoenix Boys Choir came back to Spain and Portugal, also for their third time. Under Georg Stangelberger, the choir performed 10 concerts in 16 days, from the North of Spain to Andalusia. 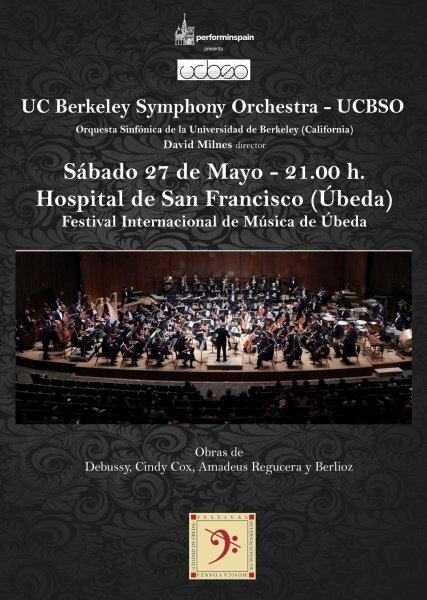 Special memories of the concerts in the Picos de Europa National Park at the Basilica de Covadonga, and at San Martin Pinario Monastery in Santiago de Compostela or the Monastery of Santa Clara in Coimbra. 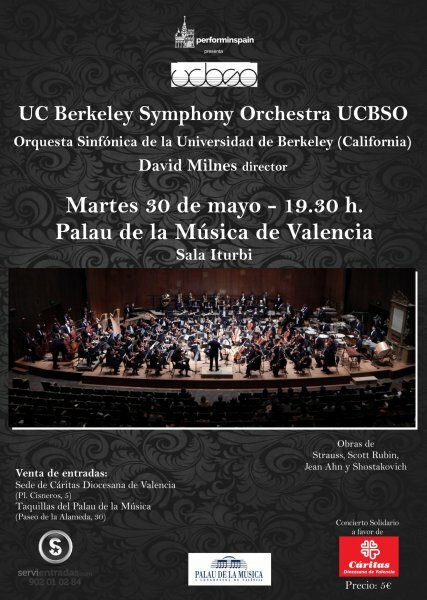 But also at the Cathedrals of Alcala de Henares and Salamanca, the sharing concerts in Madrid and Sevilla or the concerts in Ecija or Granada. Last full tour was my with daughter Paula and Pedro Vega. We toured together with the Twickenham Winds from Huntsville, Alabama. The band members were travelling with friends and family . David and Carol Spencer falled in love with Spain few years ago while he was conducting a HS Band from Huntsville and decided to return with a band of professional musicians and friends. Performing outdoor at the main Plaza during a stormy afternoon in the mountains of Madrid was a question of faith and love for sharing music with the locals. Suddenly the sky opened and the music started. As we say here the Madonna always appears ! Taking some of the group members to listen to some guitar at the caves of Sacromonte in Granada, attending at the Maestranza Opera House in Seville to see Carmen and Victor Ullate´s Ballet, performing in Puerto de Santa Maria Theatre or opening the wind band festival in Andalusia, where some highlights that will stay in our memories forever. Special thanks for all audiences, many of them who had been following our concerts over the years. Also to the different churches and catholic communities, priests and bishops and charity of organizations as Caritas. And of couse, cannot forget our staff, from my wife Kitty and my daughter, to Carlos Muiña, Aurora, Pedro Vega, Cesar Higueras, Violeta, Caroline, Luis el Cubano,Don Francisco, Juan Jose Davalillo, Pedro Alburquerque, Luis Fernandes, Jorge, Jose, Isaac, Lazaro, Toñin, Goyo, Jose Manuel, Don Francisco, Maria Diversity, Maxi Santos, Pedro Ordoñez, Fernando Motas, Diego Martinez, Paco Toro, Juan Angel de Ubeda, Fredi Anfirock, Fran Muñoz (Sevilla)…. and many other friends Gracias !!!! Under the title of Choir Sounds of Joy and Reflexion, the Copenhagen Royal Chapel came this April to Lisbon and Spain and offered concerts on Wednesday April 25 at the Church of the Monastery of San Jeronimo in Lisbon, on April 28 at the Catedral Vieja de Salamanca, on April 30 at the Iglesia del Salvador in Seville and a final concert at the Catedral de Malaga on May 2nd. The CRCC performed in front of over 2,400 people on their Iberian tour and shared the beautiful voices in front of warm audiences. Founded in 1924 by Mogens Wöldike the choir developed into a full-time institution with the boys receiving their general education alongside a full musical and vocal training at SANKT ANNAE GYMNASIUM, the Copenhagen Municipal Choir School. Since 1959 the choir has been resident at Copenhagen Cathedral and performs, as part of their duties, at state functions and during royal visits abroad. A main part of the choir´s activities are concerts in leading concert halls, cathedrals and at festivals all over the world. In 2000 the CRCC was awarded the prestigious Eugene Mortimer Choir Prize by the Europeran Cultural Foundation Pro Europa, and from the 2002 the choir has been appointed Ambassadeurs de lÚnion by Le Féderation Européene des Choeurs de lÚnion in Brussels. In 2003 the choir was honoured in Paris by lÍnstitut de France-Académie des Beaux-Arts with the Prix Chant choral Liliane Bettencourt. The CRCC regularly works with the Danish National Symphony Orchestra and has released numerous recordings. There is a continued collaboration with the Tivoli Symphony Orchestra/Copenhagen Phil, with the ensembles of the Danish Broadcasting Company and with regional orchesttras in Denmark, and a close co-operation with the Royal Opera House in Copenhagen has also been established in recent years. The recording of Buxtehude´s Cantatas received the Danish Music Awards “Choral release of the year” in 2002. In 2018 the choir releases its latest recording including Palestrina´s Marcellus Mass and Sicut Cervus, and a new setting of Sicut Cervus by Sven-David Sandström. Her Majesty the Queen of Denmark has presented CRCC and Ebbe Munk with the PRO EUROPA prize (2002) on behalf of the European Foundation for Culture….. to honour the high quality and outstanding achievement of its choral singing and its artistic contribution to culture dialogue in the world. Ebbe Munk was in 1991 appointed both as precentor in the Copenhagen Cathedral and artistic director and conductor of the CRCC for which he was fourth in succession after Mogens Wöldike, Niels Moller and Per Enevold. Ebbe Munk´s name has been closely associated with the price winning chamber choir VOX DANICA, which was known especially for the performance of new Nordic music. From 1982 to 1991 he was the director of SANKT ANNAE YOUTH CHOIR, which under his leadership developed into one of the major youth choirs in Europe. 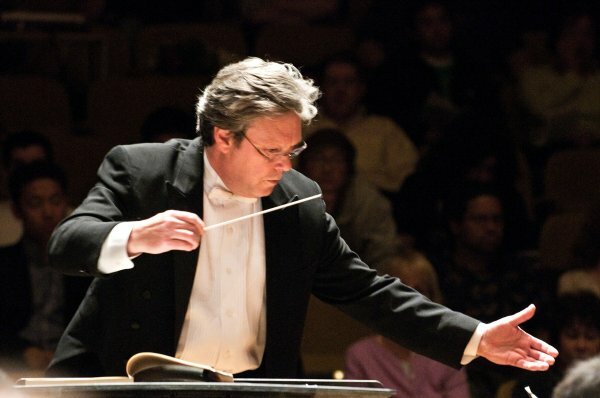 With the CRCC and as a choir instructor, Ebbe Munk has given masterclasses, participated in choral festivals and served on international competition juries in places such as Princeton University, Festival des Cathedrales de Picardie, the National Conservatory of Music and the Opera House in Hanoi and Nordklang in Finland. One of the most marked features of Ebbe Munk´s tenure with the choir has been the development of the performance of early music, which began as collaboration between CRCC and Concerto Copenhagen, as well as with special ensembles from abroad, notable the Duffay Collective in London. IN 2000 Ebbe Munk established a collaboration between the cathedral choir masters in Helsinki, Turku, Uppsala, Trondheim, Oslo and Copenhagen and this has been extended to include illustrious choral institutions such as Escolania de Montserrat, King´s College Cambridge and New College Oxford. Since 2002 Ebbe Munk has been artistic counsellor of the Federation des Choeurs de l´Union I Bruxeles and in 2008 he succeeded Sir David Willcocks at the Big Sing and Teapot Summer School in New Zealand. IN 2003 together with the CRCC he has honoured with the Prix Chant choral Liliane Bettencourt by l´Institut de France-Academie des Beaux-Arts(Paris) for which he in 2008 was appointed member of the prize jury. In 2000 Her Majesty the Queen of Denmark honored Ebbe Munk with a knighthood ( Knight of the Order of Dannebrog) and in 2015 he was elevated to Knight of the First Rank of the Order of Dannebrog. Helen Davies career as a harpist is diverse and eclectic. Her wide ranging musical life has seen her combine a distinguished orchestral career in Ireland and Scandinavia with scholarly research in 18th and 19th century harp music, arranging and performing Irish traditional harp music and the harp music of her native Wales, and , since 1989, working in the field of contemporary electronic improvided music with her husband, trumpet player and composer Palle Mikkelborg, with whom she has performed worldwide. She has also worked closely with the CRCC and has toured extensively with them. Helen studied harp in her native Wales with Ann Griffiths and studied music in Birmingham University (UK). During her time in Ireland, Helen taught both classical and Irish harp at the Royal Irish Academy of Music and established a diploma course for Irish harp. She has published several books of harp music and is currently involved in researching forgotten harp virtuosi from 18th and 19th century Scandinavia. Helen has been featured on numerous recordings and her 2 solo CD have both been awarded nominated. 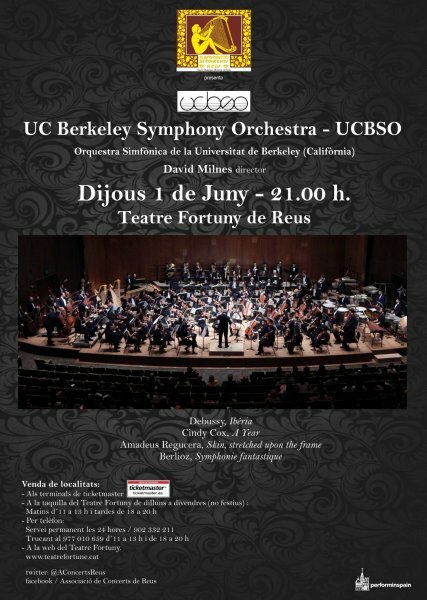 The last two weeks were intense of music where we had two high school chamber and string orchestras and an excellent college choir on tour with concerts in Avila, Segovia, Barcelona, Cantabria, Sevilla, Granada, Málaga, Zaragoza…. with large audiences and ovations, where the high -schoolers met their mates in small and large cities and shared their music and FB´s with them, where they visited local guitar makers workshops, where hey enjoyed our flamenco music, learned about the different types of flamenco and the difference between a flamenco and a “flamingo”. The Wagner Choir sang in beautiful churches and in front of warm audiences in the cities of Madrid, Alcala, Sevilla, Granada and Malaga and shared their music with over + 1500 people. The Leones de Chicago, a high school from the Chicago suburban area, played four concerts in completely different venues and in front of over +1500 people as well. In May- June we will have excellent bands, orchestras and jazz ensembles that we are finalizing all concert arrangements and we will keep you posted.